When we begin to exercise our rational faculty, we have to develop it upon a foundation of ‘tangible’ or ‘concrete’ experience so that our constructs have reliability and validity. This is necessary as ‘Reason’ automatically brings ‘doubts’, puts up ‘antitheses’ to counter ‘theses’ and balances several options. As a result, it is liable to ‘confuse’ by its brilliant analysis rather than ‘illumine’ by a synthetic and holistic vision. An excessive rational discrimination may on occasion lead to ‘indecisiveness’ become a barrier to progress. The easiest way to overcome this barrier is to base Reason at the experiential level of ‘sensory perception’. After all, sensory information is ordinarily perceived as ‘solid’, ‘concrete’, ‘tangible’. This is because senses belong to our physical schemata and our immediately perceptible world is a physical universe of matter. In contrast, our ideational experience belongs to non-physical schemata and is somewhat abstract, fluid, and intangible. Naturally, if Reason could base itself on the ‘solidity’ of sensory perception rather than the ‘fluidity’ of ideational experience, then it is expected to ‘guide’ us better. However, there is a fundamental problem. If Reason bases itself only on sensory perception, then it is liable to basic errors. Sensory perception itself has in-built limitations. We have examined already how our most fundamental sensory percepts of ‘sunrise’ and ‘sunset’ are scientifically false though phenomenally true. If Reason had accepted the outer appearances as ‘final’, then we would not have traveled in space! If the fundamental perceptions of the external, physical world provided by our sensory apparatus have such limitations, then how much more erroneous it can be if we have to build up ‘rational’ theories based on superficial cues given by human beings. What we pronounce ‘verbally’ may not actually reflect our non-verbal intentions. Thus an apparently stable person opting for an active euthanasia may actually be suffering from a ‘masked’ depression which if uplifted can result in a different choice. (There are reports that some treatable cases of depression were actually put to legal death). Moreover, our non-verbal dimension represents many levels—the subconscious, the collective unconscious, the subliminal, the super conscious; and at each of these levels, there might be different choices for the same problem. 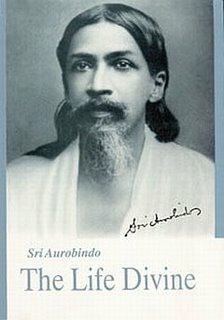 Sri Aurobindo explains: Reason accepts a mixed action when it confines itself to the circle of our sensible experience, admits its law as the final truth and concerns itself only with the study of phenomenon, that it is to say, with the appearances of things in their relations, processes and utilities. This rational action is incapable of knowing what is, it only knows what appears to be, it has no plummet by which it can sound the depths of being, it can only survey the field of becoming. (The Life Divine, pg 68-69). One interesting thing is that every ‘idea’ is accompanied by a ‘force’ or ‘energy’ that is needed to effectuate that idea into reality. If the idea is ‘limited’ and ‘superficial’, the ‘energy’ nevertheless exists though it is also limited in action. Thus, inspite of limitations, ‘rational’ theories based on sensory perception have also their ‘effect’ in life, even if constrained by limitations. This is how man could utilize ‘sunrise’ and ‘sunset’ to structure life. This is how advertising experts ‘mislead’ people by visual illusions – a phenomenon that has enormous marketing potentials! In the end however, man is not satisfied and must move to the next level of experience. This is inevitable as the human being is not only made up of physical substance—he has ideas, abstractions, hypotheses, fantasies, and dreams. Physical phenomena are not only meant for being perceived by physical senses alone -- they also influence our ideas, fancies and imaginations. “Sunrise’ and ‘sunset’ also touch our poetic, artistic and aesthetic chords. Happiness in life not only comes from the physical gratification of the senses, it also requires an artistic, aesthetic and creative fulfillment. Moreover, ‘perception’ itself is a multileveled construct and justifies an increasingly growing sovereign action of Reason. However, just de-linking from the ‘sensory’ experience does not make Reason ‘pure’. Purity is a phenomenon that progressively unveils as the nature of ‘Reason’ becomes more and more sovereign. This movement passes through several stages. We shall group them in three stages. At first, Reason goes behind the immediate appearance of things. This is how basic scientific discoveries were made. The discovery of fire, wheel, armaments; the building of houses, dams, bridges, boats, forts; the efflorescence of cultivation; the formations of human groupings as families, clans, communities, societies – all appeared when man’s idea started going behind immediate appearances to some ‘truth’ that supported yet surpassed the appearances. It is this phenomenon of Reason that results in great theories and hypotheses in both the physical and psychosocial disciplines. This is how Darwin’s theory of Evolution, Einstein’s theory of Relativity, Freud’s theory of Psychoanalysis and Marx’s theory of Communism came into being. All these theories have been challenged and are not full proof. Yet, as we have discussed, each idea has an executive force and even if not error-free, can still hold its fort with a particular intensity during a particular time-period. Even after such ideas are supplemented by newer ideas, they still retain their historical significance and sow the seeds of future constructs. This increasingly pure action of Reason leads us from physical to metaphysical knowledge. 1.At first, Matter was perceived by our physical senses as gross ‘forms’ in a concrete way—viz. color, size, shape, texture etc. 3. It was then posited that there is a cosmic energy that gets formulated into both gross and subtle forms. The essence of Matter was conceived as a conceptual form that could not be grasped through sensory perception and hence non-existent to the senses so that ‘the point is increasingly reached where only an arbitrary distinction in thought divides form of substance from form of energy’. (Ibid, pg 19). All these came to the Reasoning Intellect of the Indian seer thousands of years before E=MC2 was conceived. 4. At the next stage, the Indian seer delinked ‘energy’ from ‘form’ to arrive at the concept of ‘formlessness’—a dimension that ‘upholds’ all forms. That is how emerged the concept of the ABSOLUTE beyond all sensory or cognitive descriptions—who was an X that was indefinable, conceived in a positive sense as an omnipotent Being or in a negative sense as a Non-Being or the Great Zero beyond our conception. The Absolute was therefore reasoned to be not an aggregate of forms or a substratum of forms. If all forms, quantities, qualities were to disappear, this would remain .Likewise, all forms, quantities and qualities could again manifest from the bosom of the Absolute.